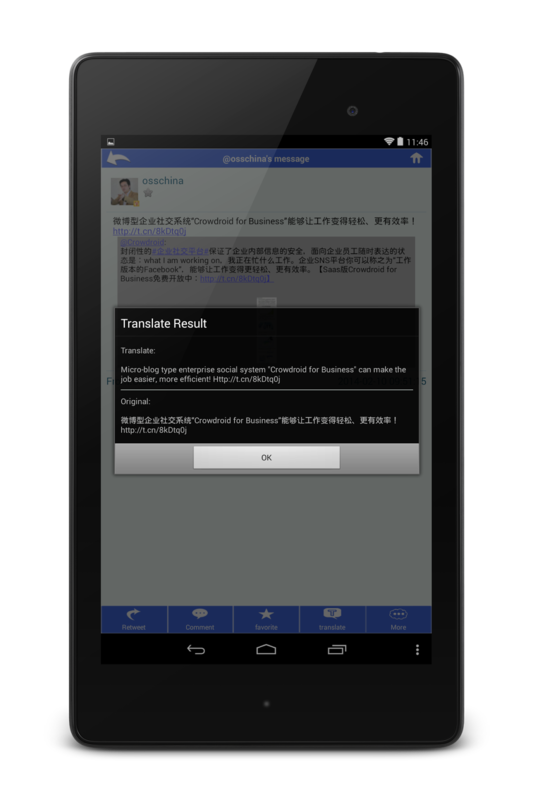 Android already dominate 80% of China's smartphone market. According to the report by Eguan, the market share of Android was 82.8% in China's smartphone market in the second quarter. The market share of Android in the first quarter was 76.7%, so that is to say it increased 6.1% in a quarter. Recently MIIT also said that the market share of Android was nearly 80% in China's smartphone market in the first half of the year, so it's no doubt that Android already dominate 80% of China's smartphone market now. And according to MIIT, the number of smartphone shipments was nearly 100 million units in the first half of the year, and it increased 197% over last year. 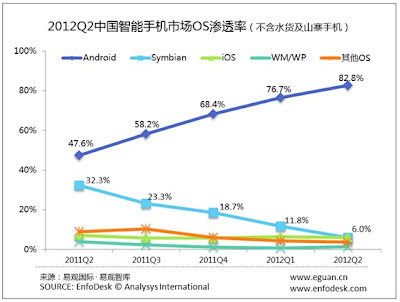 On the other hand, Symbian still continue to decrease their market share, and it had finally fallen to 6.0%. The decline of Symbian is equivalent to the decline of Nokia, but they already changed direction to the cooperation with Windows Phone. Yesterday, Nokia released Lumia 920 that is equipped with Windows 8, but the market share of Windows Phone( include Windows Mobile) was also small at this stage in China. So we have to keep attentions whether this new mobile phone will get the popularity or not in future.